The Venezia reflects superior quality and the rediscovery of craftsmanship. These elements combined with the desire for renewal and modern design are the basis for this innovative Murano chandelier. 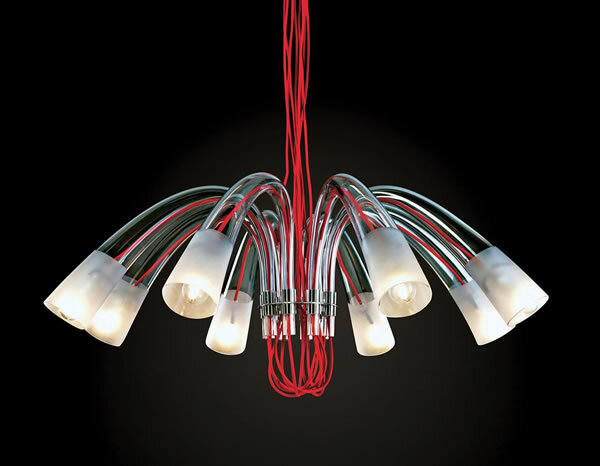 Venezia by Ilide, in fact, is a unique modern interpretation of classical Venetian chandeliers. The chrome structure supports the elegant Murano glass arms and fabric cables draw its shape.